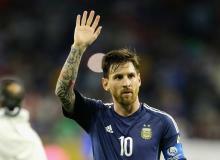 USA Today Calls Messi 'Leonardo'; Internet Reacts With Epic Memes! 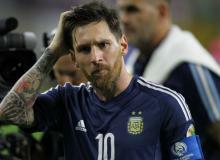 This is how the Internet reacts after USA Today called Messi by the wrong name! Soccer star Cristiano Ronaldo had an incident with the press on Wednesday. After a reporter tried to ask him a question, Ronaldo grabbed his mic and threw in the lake. 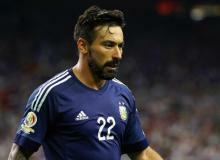 Ezequiel Lavezzi confirmed he will not be playing with his team at the Copa América Centenario final match. Find out why. 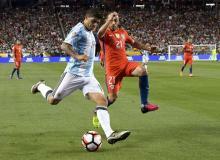 The second semifinals game of the Copa América Centenario will take place between Chile and Colombia to define who will be facing Argentina in the big final. 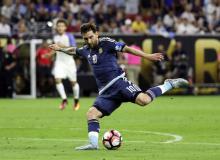 Lionel Messi scored his 55th goal at the Copa América Centenario semifinal, making him the biggest scorer in Argentinian history. Fan dodges security at NRG stadium in Houston, TX, to praise Lionel Messi after unbelievable free kick goal during Copa América Centenario's semifinals match. 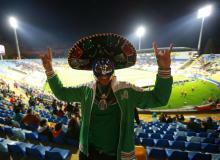 Mexican soccer fans were not happy after Chile's recent win against Mexico. One fan even got in a heated argument with a cop. Watch video here. The U.S.A. squad is facing the Argentina team in the first semifinals game of the Copa América Centenario, and here's where you can watch it. The Mexican national soccer team has taken to social media to apologize for the disastrous 7-0 loss to Chile during Copa América Centenario. Colombia players James Rodríguez, Marlos Moreno, Juan Cuadrado, amongst others had a cumbia dance-off before facing Peru at the quarterfinals of the Copa America Centenario. 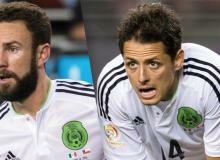 One of the most highly anticipated Copa América Centenario quarterfinals game was Mexico vs. Chile, which ended in a humiliating defeat for the Mexican squad. Mexican soccer star Rafa Marquez and wife Jaydy Michel welcome first son together. See baby Leonardo's adorable photo. 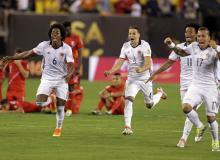 The first game of the Copa América Centenario quarterfinals is taking place between the U.S.A. team and Ecuador, with three more games to follow before the tournament's semifinals. 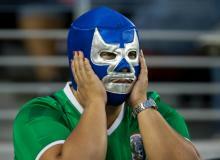 Mexican fans continue to use their infamous "ehh puto" chant aimed at the opposing team’s goalkeepers despite warnings from soccer federations that their team could pay a high price if they continue to use it. 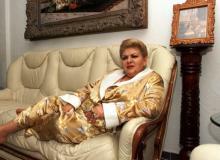 In the midst of the Copa América Centenario hype, Paquita la del Barrio had a thing or two to say about soccer. You won't believe what she said! The definitive and final round for Group C is taking place tonight, which means Mexico will face Venezuela and Jamaica will face Uruguay in the Copa América Centenario games. Piqué made an epic late goal at the European Championships, giving Spain victory. Watch highlights here and check out how Shakira celebrated! A fan is arrested after she entered the soccer field to kiss James Rodriguez. Watch the video here! 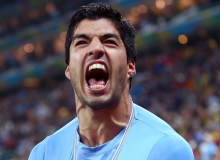 Luis Suárez throws tantrum after finding out he was staying on the bench during Copa América Centenario's decisive game between Uruguay and Venezuela. Watch his reaction here! It is Group C's turn to play their second round of games, which means Uruguay will face Venezuela and Jamaica will face Mexico in this set of Copa América Centenario games.